Looking for a quick getaway during the work week? Marine City has the up north vibe without the drive and the Inn on Water Street is the place to stay! 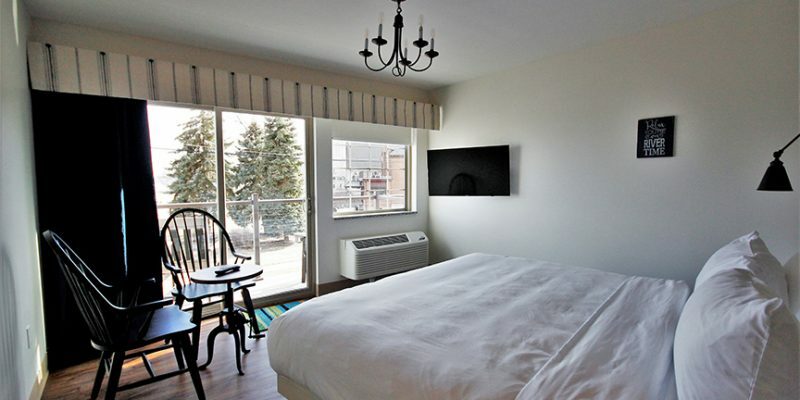 Included in this weekday package, Sunday thru Thursday, is an overnight stay in a King Balcony Room overlooking the St. Clair River and $50 towards dinner at the Inn Kitchen. From classic to contemporary, The Inn Kitchen has an eclectic menu that is enhanced by our new Wine Menu, which includes the option to buy a bottle and enjoy in your room. Marine City is a historic riverfront town steeped in shipbuilding and agricultural heritage; here at the Inn on Water Street we celebrate both. You’ll be charmed by the modern farmhouse décor and enjoy stunning close-up views of the international St. Clair River shipping channel and the vessels that navigate it.